Note: Picture is an example (shapes may vary somewhat). 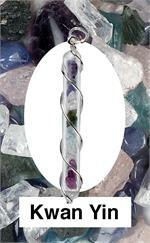 Each statue measures approximately 2.75 to 3" tall not including stand. 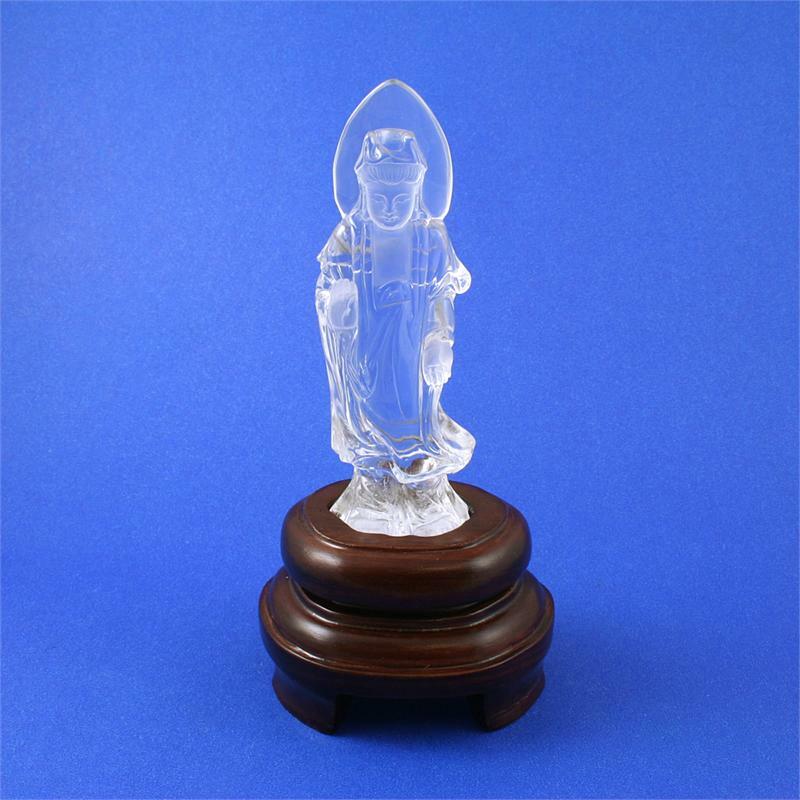 These are fine carvings of the Buddhist figure of the Divine Feminine "Kwan Yin". She is also known as the Boddhisattva of Compassion, and may be more beloved then the Buddha himself. Kwan Yin is known as a calm and loving figure who quiets fears and aids people in their struggles. She is called upon by those in the most hopeless situations, and is believed to relieve suffering through the application of her Divine mercy.